When you want landscaping in Stirling and a garden design that is both unique and stunning, look no further than Landscaping Design and Construction. With over 30 years of experience in both garden design and construction we are able to provide you with a service that is second to none and to your own exact specifications. Why not give us a ring to find out what we can do for you? We offer an extensive range of services for you, including paving, and we are committed to excellence in everything that we do. For a list of the services we provide, please see the Our Services page of this website. Our company has a fantastic reputation throughout the area, and we are not happy unless you are delighted! 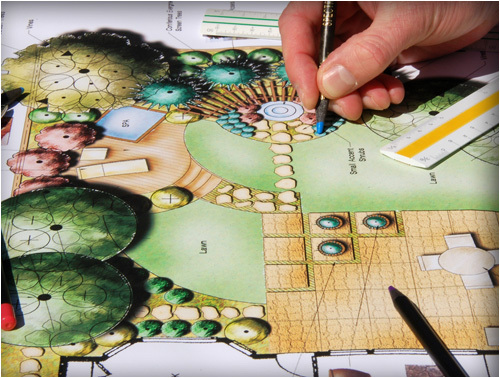 Why not put us to the test, and discover the Landscaping Design and Construction. We hope to hear from you in the near future. Whenever you are looking for landscaping, gardening or paving in Stirling, there is only one name that you need to remember: Landscaping Design and Construction. Please contact us today to discuss your requirements, either by ringing the number above or emailing us via the form on the contact page of this website. We hope to hear from you soon.